Perhaps it was always a no-brainer? Maybe it was inevitable? Two blockchain projects, who are all about empowering ordinary individuals, coming together to cooperate, integrate and disseminate their joint visions. But now it’s official! Streamr Network AG and Electrify.Asia are partnering to allow electricity users of the future to monetise their data. One third of the planet’s population live in Asian cities. Electrify, Southeast Asia’s first e-commerce marketplace for electricity, is seeking to ensure these households get much greater choice when it comes to the way they consume their energy and who provides it. Electrify will create Asia’s new decentralised power markets through an intelligent energy ecosystem underpinned by their cryptographic token, ELEC. Streamr is building the world’s leading crypto-powered marketplace for realtime data. We believe that creating an open source platform to trade the world’s information will benefit everyone. People will regain control of the data they produce. Companies will be able to better build and market their products on the Internet of Things. And society as a whole will be better off when the value in that data is no longer concentrated in the hands of a few giant corporations. Our not-for-profit decentralised Marketplace will be launched by Q2 2018, and transactions will utilise their cryptographic token DATA. To bring greater value and choice to users, Electrify is developing a smart contract-driven energy marketplace across Asia. This ecosystem includes the deployment of their proprietary IoT device, the PowerPod, which accurately tracks and audits production from small-scale energy producers before logging the data onto a blockchain, a key factor in P2P energy trading. The resulting data generated from PowerPod devices can potentially contribute to maintaining grid intelligence and stability, as well as provide edge data for other companies to access. In a few months, Electrify.Asia users will be able to sell their data through Streamr’s Marketplace to scores of potential subscribers around the world such as research institutes, private companies and the grid operators themselves. “I’ve been so impressed with Electrify’s current capabilities. We can’t wait to start giving Asia’s PowerPod users the chance to monetise their data through our Marketplace in a few months time,” he added. “With Streamr, which enables real-time data trading at the micro level, there is a very real chance at breaking the control that large entities have over user-generated data,” said Julius Tan, CEO of Electrify. “A very natural synergy exists between both projects. They both want to create a fair environment with equitable outcomes, where there is conscious choice-making. Ultimately, the long-term value we are driving is a greater awareness and ability to choose,” Tan added. In Streamr’s data Marketplace, users will be able to buy and sell realtime information from IoT devices and more traditional sources e.g. finance, commerce, travel, weather and social media. This collaboration will see the two blockchain-based projects explore integration of user data from Electrify’s PowerPod device. Marketplace onboarding for Electrify’s PowerPod is expected to be completed by the launch of Streamr’s Marketplace in Q2 2018. 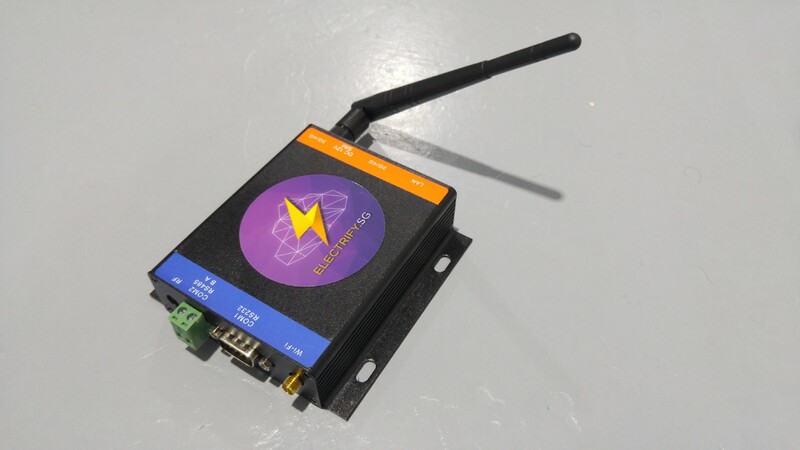 Electrify is currently heading a pilot of this project with data-collection from the PowerPod at 5-minute intervals through WiFI, 3G, 4G and landline connections. Electrify, Singapore’s first decentralised energy marketplace, brings price transparency and plan flexibility to the population as the country heads for a fully liberalised market by the end 2018. Its peer-to-peer power-trading platform, SYNERGY, allows different tiers and sizes of users and generators to trade freely, through the use of smart contracts. With countries such as China, Philippines and Japan on their way to market deregulation, ELECTRIFY aims to brings the power of choice to these growing markets. Streamr is based in “Crypto Valley” aka Zug, Switzerland but was born from a Finnish company in Helsinki now named Data in Chains. The first version of the software that resembles what is the current Streamr vision was created for internal use in algorithmic high-frequency trading five years ago. Core team members all come from a financial background, being either quants, trading system developers, algorithmic traders and, in some cases, all of the above. Streamr already has functioning data analytics technology, a drag-and-drop visual programming user interface for fast prototyping and app creation, and smart contracting capabilities built on top of the the Ethereum blockchain. Scheduled for launch in Q2 2018, the data Marketplace will allow users to securely and privately trade information over their P2P data network using the cryptographic token, DATA, as a means of payment.